Kai Borre, now a professor and senior researcher at Russia’s Samara State Aerospace University, has released a new version of Easy Suite, a collection of Matlab-based scripts and explanatory text that illustrated a variety of common GPS issues. The first Easy Suite files (easy1–easy10) were published in the periodical GPS Solutions in 2003. 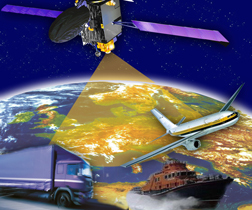 Those were augmented by a continuation (easy11–easy18) in Inside GNSS in the years 2009–2010. Borre, a geodesist who founded and directed the Danish GPS Center for many years, based the first collection of Easy Suite files on RINEX version 2.10. Over the years he received many requests for a code that starts from RINEX version 3.03. In the intervening time, Matlab had also changed and now includes new relevant commands. So, Borre decided to update the files with a code based on Matlab version 8.5 (R2015a). Samara State Aerospace University supported Borre’s efforts, which were undertaken from last August to February of this year. All Easy Suite Matlab codes may be downloaded from here. A comprehensive description of the individual Easy-files can be found in Chapters 9 and 10 of the textbook Algorithms for Global Positioning by Borre and Gilbert Strang, published by Wellesley-Cambridge Press in 2012. “I tried to find an optimum way of coding — optimum in the sense that it still is useful as a teaching code which is easy to modify, and also not exploiting too sophisticated tricks,” says Borre. The current version of Easy Suite is based on a new data set that was collected with two Javad Delta-3 receivers, comprising about 15 minutes of data from two antennas 0.6 meter apart collected at one-second epoch intervals. The site is on top of the main building of Samara State Aerospace University. The data include only GPS observations. For a newcomer it would be too complicated to include, for example, GLONASS. However, Borre and associates are working on preparing a book on Matlab receivers for GPS, GLONASS, BeiDou, and Galileo, mainly single-frequency receivers.